LabRoots, the leading social networking site designed to connect all science verticals, launches a new website. Based in Orange County, California, LabRoots was founded in 2008 by Greg Cruikshank. LabRoot's vision was to connect the scientific world leveraging a myriad of unique features and tools, discovering meaningful collaborations across geographic boundaries and fields of expertise. Scientists from around the world can go to LabRoots.com at no cost, to begin building relationships with other scientists and increasing their influence within the scientific community. Aside from giving scientists a place to share their expertise and learn from one another, LabRoots offers the latest advanced data mining tools to improve scientist-to-scientist communication. "We are extremely excited about the launch of the new LabRoots website" said CEO Greg Cruikshank. "I mean LabRoots has been around for five years now, but with the enormous growth in social networking websites such as Facebook and Linkedin, we needed an overhaul. LabRoots now has the tools, audience, and content which make it the ultimate destination for scientists to disseminate original ideas and information and to stretch the boundaries of science." Features of the LabRoots networking site are extensive and members are able to: review over 30,000,000 documents of publication metadata; view hundreds of live news feeds which are updated daily; watch and post videos, images, files, and links; post reviews of publications, products, companies, press releases, and more; access thousands of scientific events, conferences, seminars, and webinars; find and post jobs from all over the world; follow companies and institutions or start their own company page; connect, follow, and message colleagues and peers. To join LabRoots free on-line community of scientists from across the globe, visit LabRoots.com. 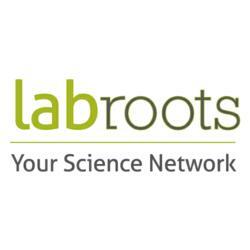 LabRoots is the leading professional networking website designed to connect all science verticals. Founded in March 2008, LabRoot's vision was to connect the scientific world leveraging a myriad of unique features and tools, discovering meaningful collaborations across geographic boundaries and fields of expertise. LabRoots is the owner and producer of BioConference Live - which has grown into the world's largest series of virtual events within the Life Sciences and Clinical Diagnostics community.